I’ve found myself in an awkward situation last week. I was walking into work, and through the back window of a parked car, I spotted a little plush doll of the Olaf character from Frozen. For whatever reason, this planted an idea in the back of my mind. Over the next eight hours, my subconscious mulled and debated over it. Is it necessary? Is it appropriate? Does it even make sense? In the end, the answer turned out to be yes. At about 10:30 that night, I drove to my local supermarket and found something I knew would be there. Moments later, I was the proud owner of a $5 Winnie the Pooh plush doll. (The one shown left isn’t it, but you get the idea.) I proceeded to stick it in my back window, in the exact same spot the Olaf doll was housed in the other car. It’s been there ever since. I haven’t told anyone this story, and no one has asked me about it. Not even my wife. But it seems like that’s the kind of thing you’ve got to be careful with. A grown man wearing a Winnie the Pooh shirt certainly has the potential to be creepy and weird. That perception is fair enough, I suppose. But I’m wondering if it’s worth the risk. 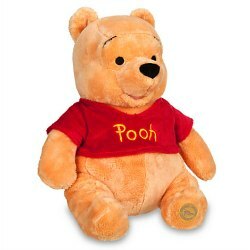 Not that there’s anything inherently wrong with Pooh, of course. He and I go back to when I was a baby. In old pictures, there’s a plush Winnie the Pooh next to a much, much smaller version of yours truly. In later years, Welcome to Pooh Corner (Remember that show? It’s the one with people in costumes. YouTube it.) would be on before grammar school. As recently as a few years ago, I’d be flipping channels and catch myself stuck on My Friends Tigger & Pooh, which was about a little girl who went around the Hundred Acre Wood with the gang and…solved mysteries, for some reason. Maybe it should have been CSI: Pooh Corner. I think the reason I’ve gravitated back to Pooh as an adult is because of what I see as his simplicity and his knack for kindness. He’s not the smartest guy out there, he’s got his share of flaws and weaknesses (such as a knack for “hunny”), and even gets himself in trouble at times. 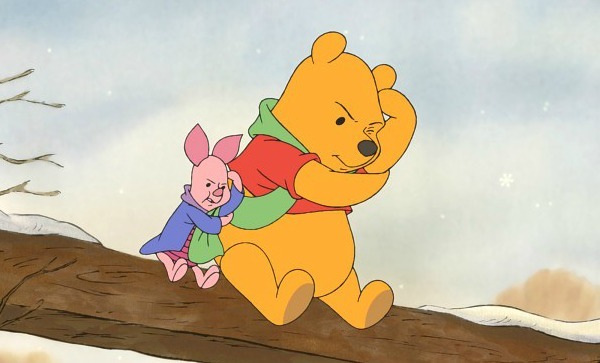 But at his core Pooh has a warm heart, deeply cares for his friends, and doesn’t intentionally put any negativity out into the world. He’s soft spoken, and he’s never mean or cruel. There’s a charming naivety and innocence about him that is synonymous with everything that’s good about being a child. When we reach adulthood, so many of us lose touch with our inner child. 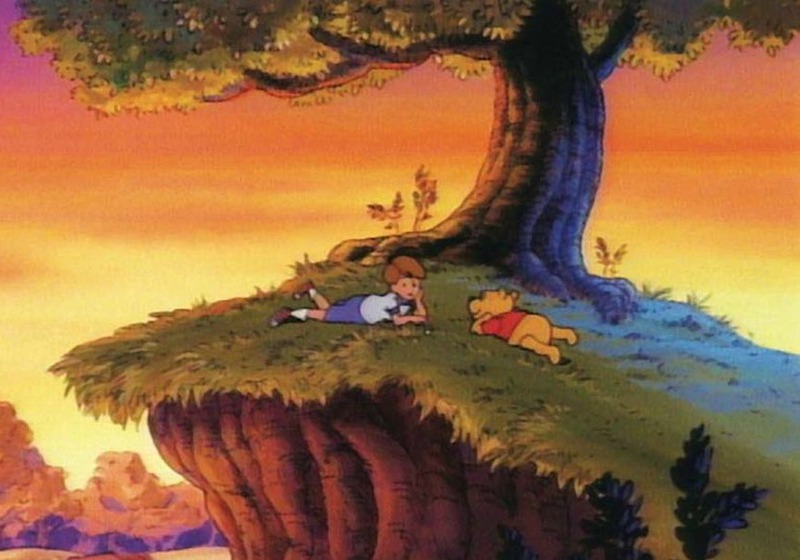 And what better embodiment of that inner child will you ever find than Winnie the Pooh? Also, now that I’m a little older, am married, and likely have kids in my future, I’ve grown rather tired of the idea of being “cool.” I don’t have much use for it anymore. At the risk of sounding sappy or preachy, once you gain a little perspective, you learn that being cool really isn’t important. Being a kind and caring person is. I suppose being in the vicinity of a Winnie the Pooh image is my way of conveying that. But the world is such a cynical, quick-to-judge place. It always has been, but it seems like that’s the case now more than ever. The last thing I’d want to do is take something so pure, and turn it into something awkward, creepy, or somehow distasteful to people. Normally I don’t necessarily care about this sort of thing, but it seems appropriate here. Somehow it seems like the key to being a man with a Winnie the Pooh shirt is the proper ratio of cuteness. For instance, the image above is immediately ruled out. If you go around wearing something that looks like wallpaper in a baby’s room, you’re a creeper no matter how pure your intentions may be. 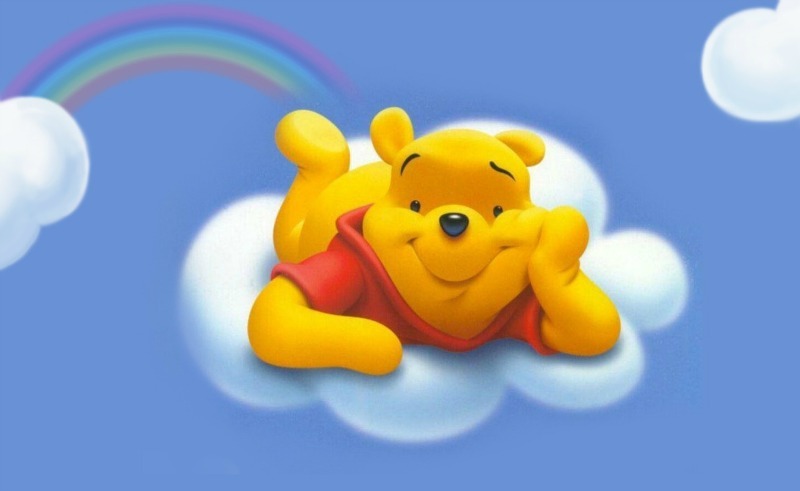 On the other hand, you really can’t try and take the cool approach with Pooh, because it corrupts his image. 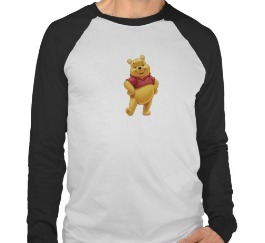 I mentioned this to a friend, and they told me about “Gangsta Pooh.” Apparently that’s a thing. It’s rather nauseating, but it’s a thing. Simple and understated is my usual t-shirt M.O., so it seems like Pooh should be no different. At the moment, the shirt shown at right is my leading candidate. It doesn’t beat you over the head with anything. It doesn’t say anything stupid like “100 Acre Wood Gym” or “Pooh’s Wrestling Team,” or whatever. It’s merely the iconic image of the Disney Winnie the Pooh. You see it, you recognize it, and hopefully you get it. I don’t doubt some people will see my little Pooh project as childish, juvenile, etc. But in a way, that’s the point. There are obviously a lot of things you can’t take with you from childhood to adulthood. But what so many people don’t think about are all the things you can take with you. Things like playfulness, a sense of wonder, and unconditional love. That’s really what this whole Pooh debate is all about. It’s merely a question of the proper conveyance. Sadly, when you’re an adult, that conveyance becomes more complicated than is perhaps necessary. Image 1 from pooh.wikia.com. Image 2 from disneystore.com. Image 3 from disney.com. Image 4 from wallpapers111.com. Image 5 from zazzle.com. This entry was posted in Opinion and tagged Disney, Frozen, Gangsta Pooh, My Friends Tigger & Pooh, Olaf, Pooh, Rob Siebert, Welcome to Pooh Corner, Winnie the Pooh on 05/25/2015 by primaryignition.